Angel, the accompanying artillery piece is freaking huge. 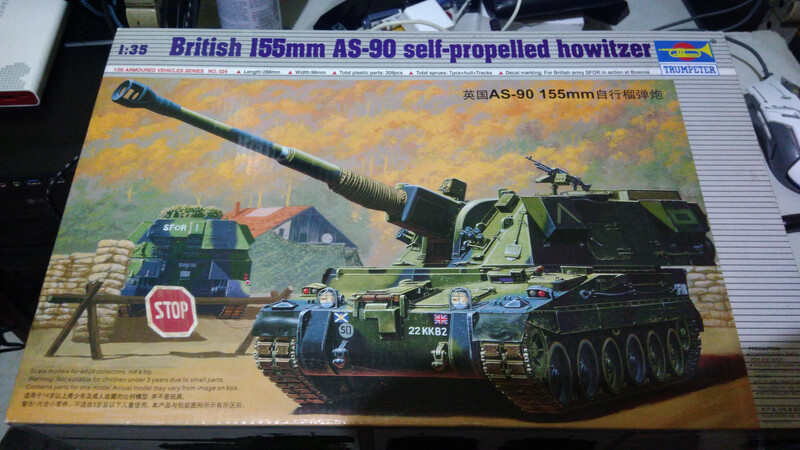 Nigel, cool looking self propelled howitzer. 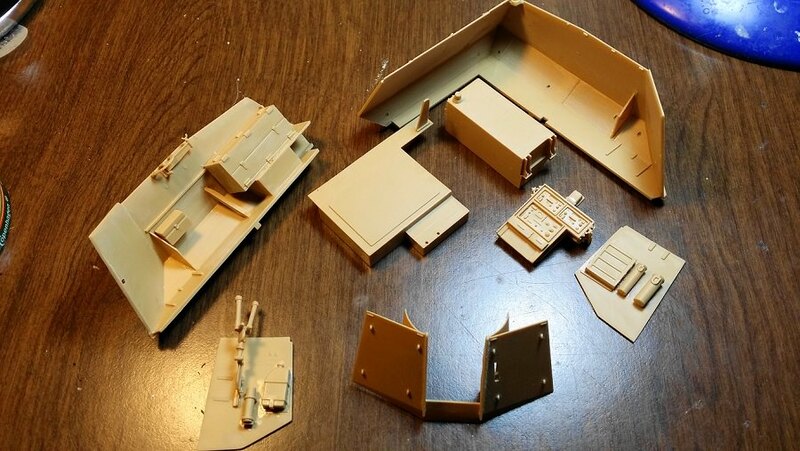 Chuck, hey, it wouldn't be a model build if everything fit perfectly. Hahaha. Good luck my friend. 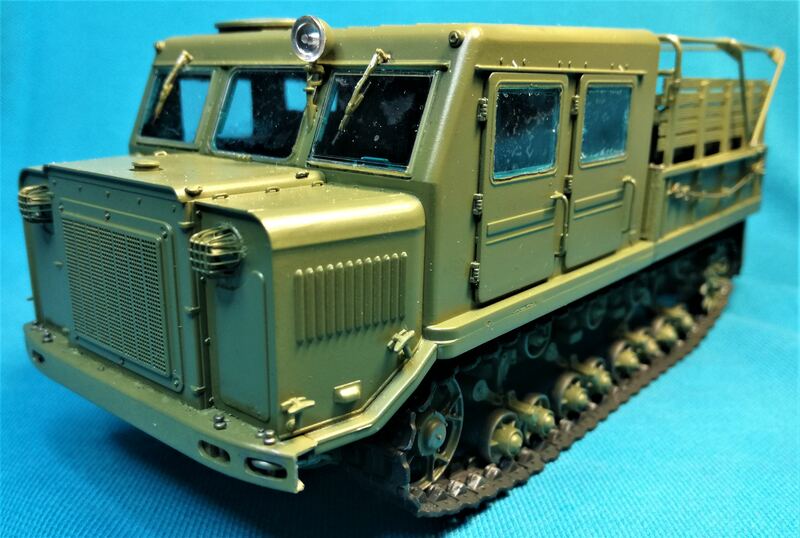 Kalin, great start on your Sd.Kfz. 8. 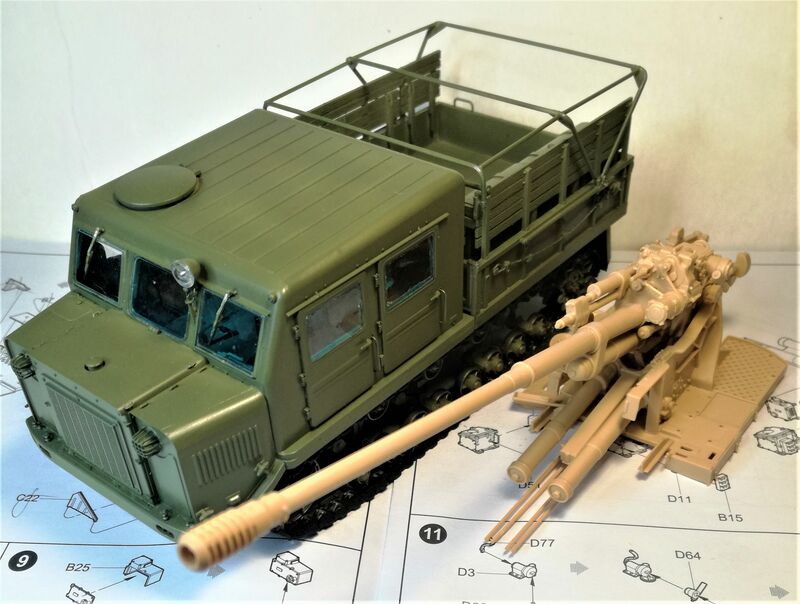 Angel, fantastic ATS-712, it's going to look great weathered and paired up with the the KS-19M2. 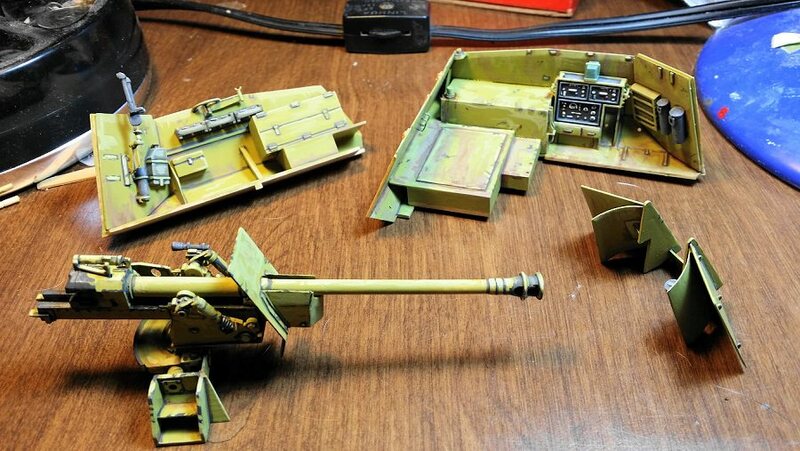 As a matter of fact, I have that AA gun in the stash and will be following your build with intense interest. It sure is impressively huge. 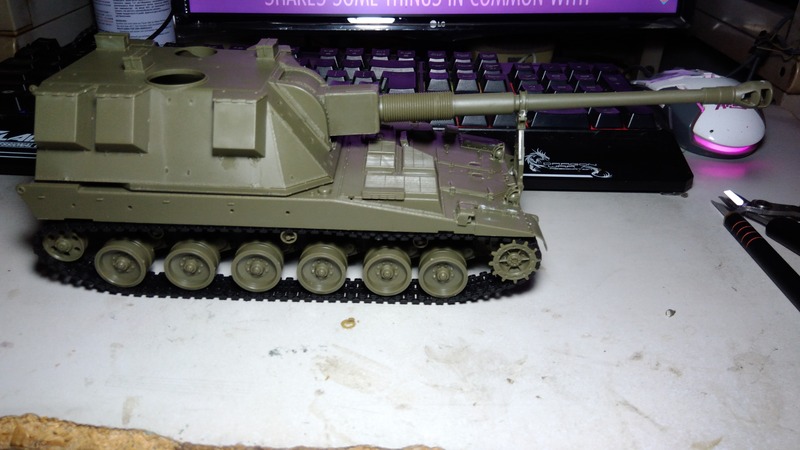 Bill, nice progress on your Marder. David, looking forward to your THAAD build. Nigel, cool AS-90 build. Too bad you had to fight with it but everything looks well aligned now. 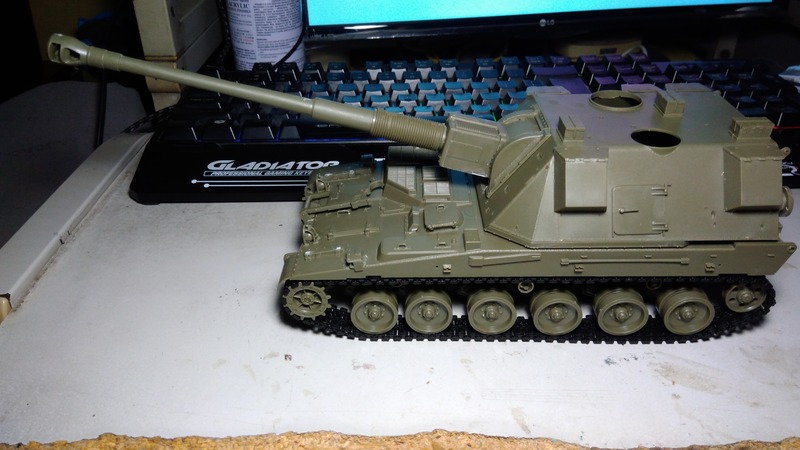 Chuck, good work on the KV-II. Combined length: 47 cm./18,5 inches. That is one sweet looking gun model. Great job. That is one clean build you have going there. Very nice work with the PE. Thanks for all the encouragement fellas. 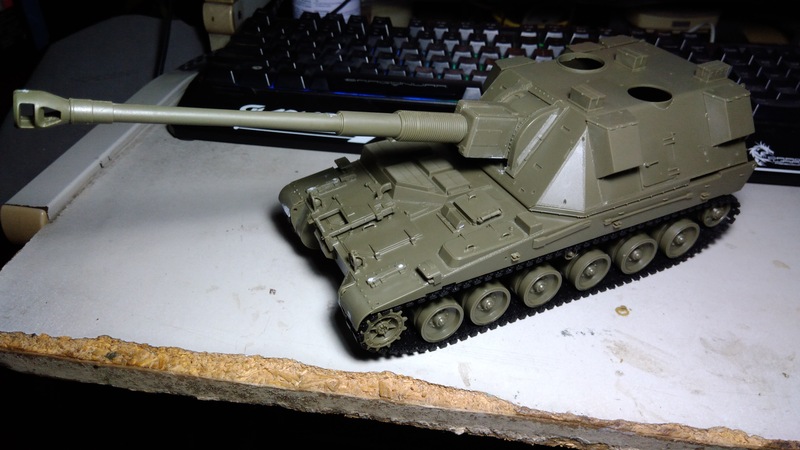 @jbranca – looking forward to your build of the T-64. 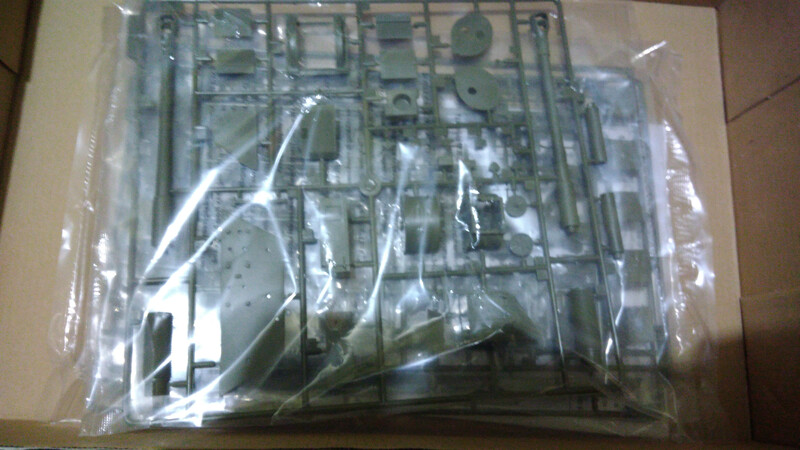 I have the T-64B and T-80BV kit and I’m still not that great with photo-etch. 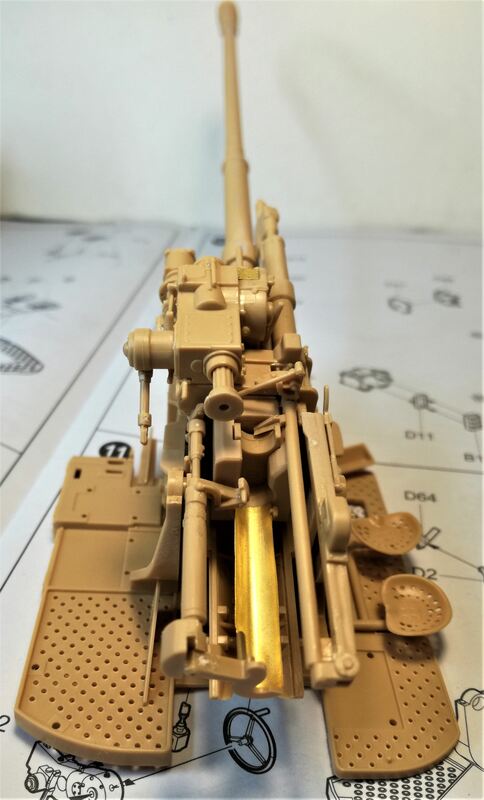 @Angel – Nice work on the towed gun! I’ve never built one of those things… looking at yours is making me reconsider. 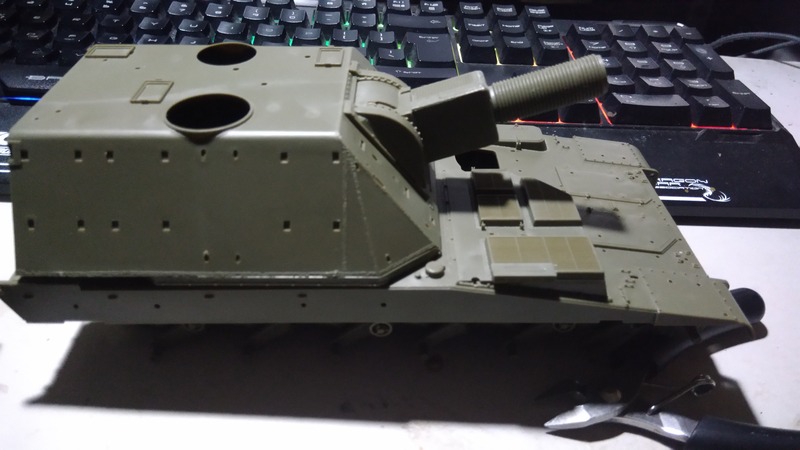 Here’s my progress last night with the AS-90. 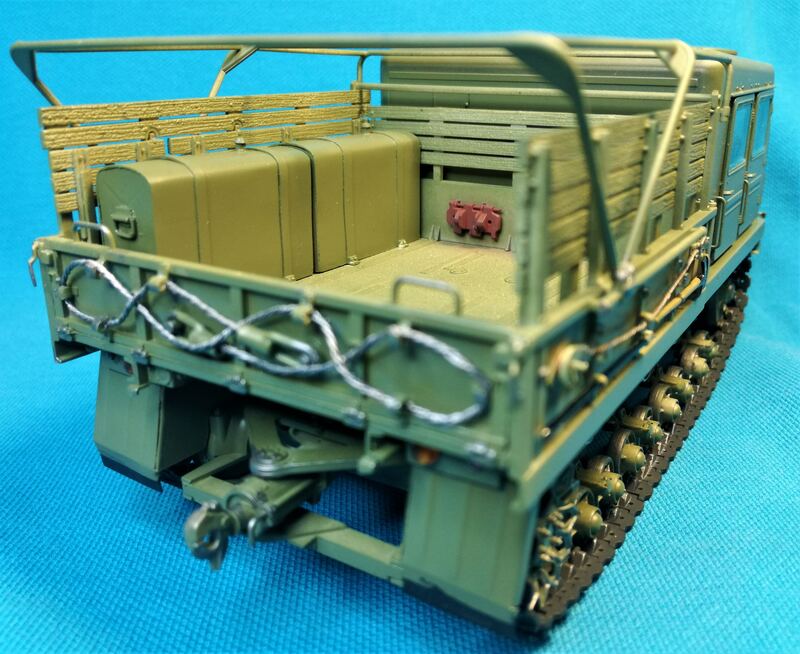 Put on the tracks and wheels for dry-fitting along with the gun. This thing is probably the biggest kit I’ve handled so far (mostly because I’ve do WW2 stuff and the occasional Leopard and Abram). I’m hoping that I don’t need to clean up the gun barrel too much. Will be priming her soon – hope I don’t uncover any nasty surprises! Jerry, the molding quality on your kit is BEAUTIFUL! 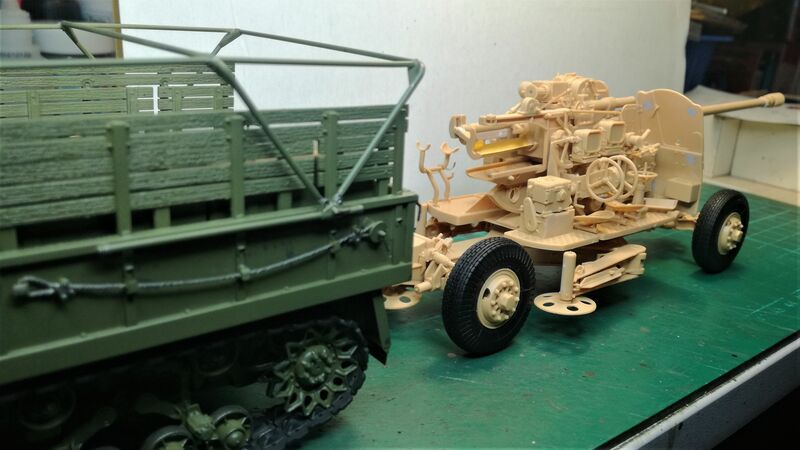 Angel, the tractor and artillery piece look fantastic together. A real show stopper! 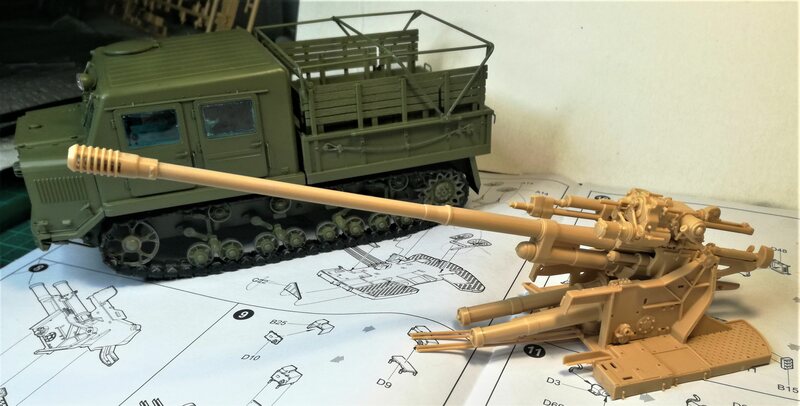 Nigel, good work on your self propelled howitzer....it's going together quickly. 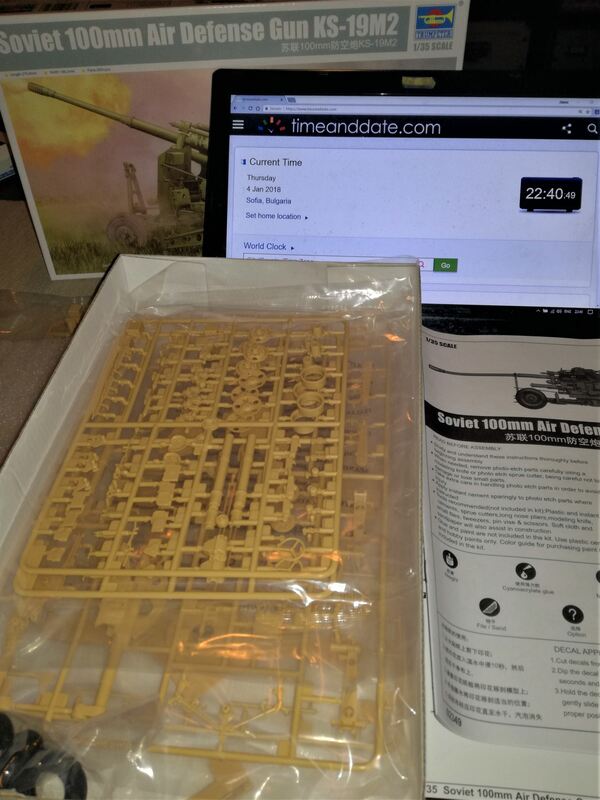 Keep up the awesome work fellow modelers. Working on the fighting compartment. The kit has a good amount of detailing in here. Paintwork on the fighting compartment is complete. All the components are ready for assembly. Having a blast on this build. 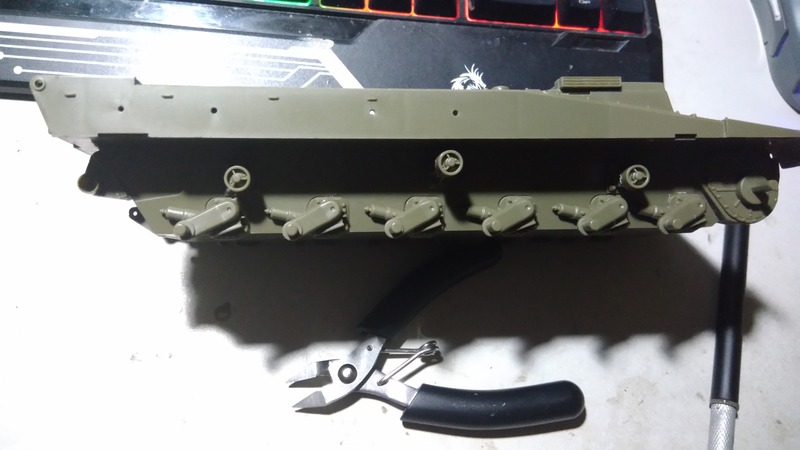 Full Disclosure: The parts required a lot of test fitting and modification. The kit's instructions are ambiguous in many areas. 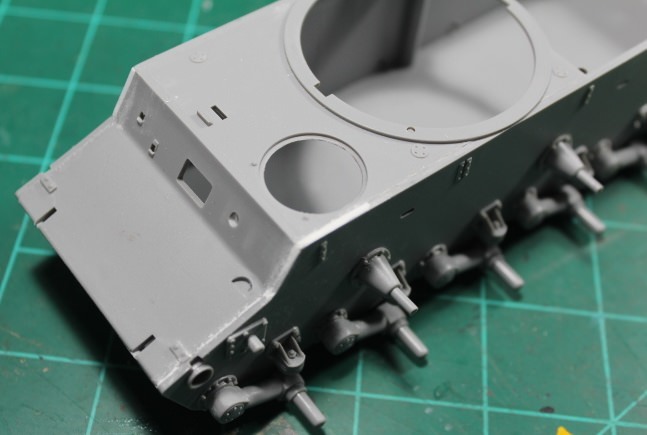 Excellent weathering on the subassemblies. Gotta love that grime.